The Magazine newsletter template can be used with any email/newsletter software but also includes a version specifically prepared for our WordPress Newsletter plugin to make it easy to use. This version comes with all the needed shortcodes in place. These installation instructions are mainly for installation and use with our WordPress Newsletter plugin to illustrate the use of shortcodes and other features. For any other email/newsletter software, you shouldn’t have to follow any specific instructions other than just uploading the HTML file or pasting the HTML code into that software. Once you have purchased and downloaded the newsletter template, extract the ZIP which contains all the included files as mentioned above. First, you’ll want to upload all the files in the images/ folder somewhere on your server via FTP or through the WordPress media uploader accordingly since emails always pull images remotely on the clients’ side. Once you have uploaded the contents of the images/ folder somewhere, make a note of the remote, absolute URL to that folder. 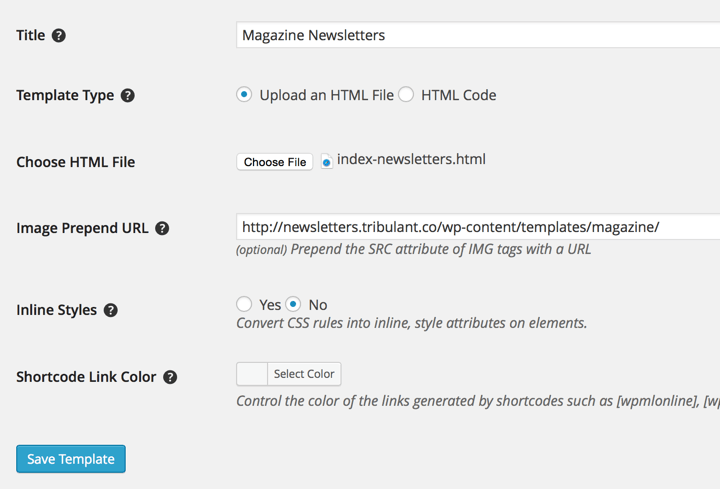 Now go to Newsletters > Templates in the Newsletter plugin and click “Add New” at the top. Fill in a title, choose the index-newsletters.html file which will be uploaded. Alternatively, you can copy/paste the file’s HTML. The newsletter template is distributed with relative image paths. So the images are src="images/logo.jpg" for example and you want them to be remote, absolute URLs like src="http://domain.com/magazine/images/logo.jpg" so that all readers/subscribers can pull the images into their email clients. Now take the URL of where you uploaded the images previously and put that into the “Image Prepend URL” setting/field. The inline styles are optional and you can apply them if you’d like for cross-client compatibility but it is up to you. Then save your template and you’re done! If the images appear broken, you know that there is an issue with your image prepend URL or that the images weren’t uploaded correctly. 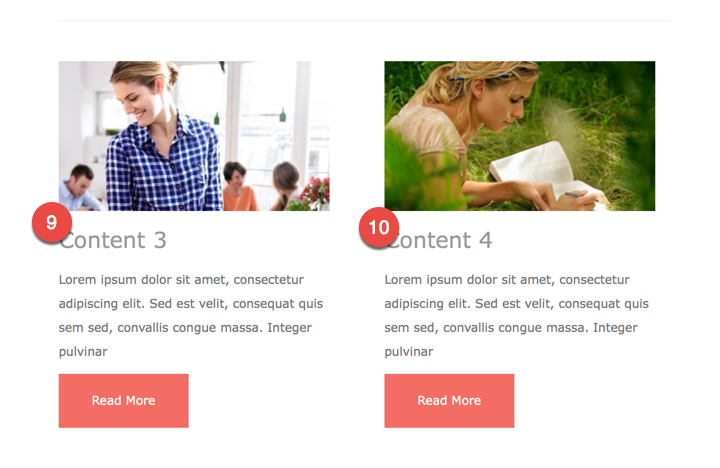 The index-newsletters.html version of the Magazine newsletter template comes with several elements. Let’s have a look at them. The logo is a static image included with the newsletter template and can easily be changed or removed under Newsletters > Templates by editing the template in the WYSIWYG editor. A [newsletters_online_url] shortcode is included on the link to automatically generate a view online link accordingly. The text itself is static and can be changed by editing the template. The menu/navigation is static and can easily be changed by editing the template. The banner image is a static image and can be changed by editing the template. If you’re going to send posts/pages as newsletters, you could change out the banner image HTML by editing the template and replace it with a [newsletters_post_thumbnail...] shortcode to automatically show the featured image of the post/page accordingly. The subject line is automatically populated with the [wpmlsubject] shortcode. So it will take the subject of the newsletter or the title of the post/page, depending on how you use the template. 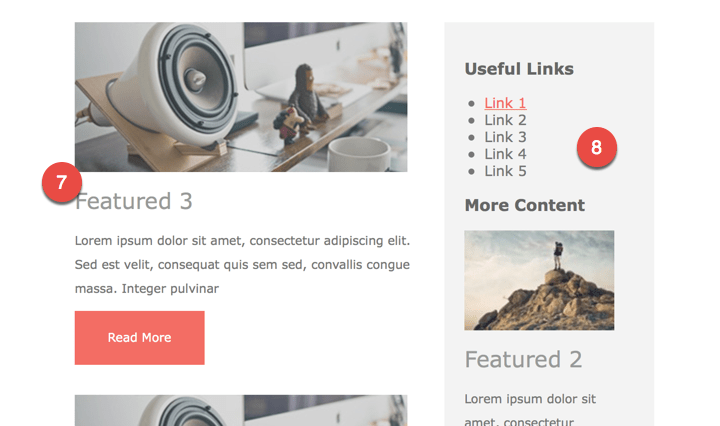 The main content area uses the content from the main editor and uses the [wpmlcontent] shortcode. The first content area is populated by [newsletters_content id="1"]. You can create an additional content area by clicking the “Add Content Area” button below the main editor. You can then insert any text, images and formatting as needed. All WordPress, Newsletter plugin and 3rd party theme and plugin shortcodes are fully supported here. The sidebar can be use for anything really. You can insert images, text, bullet lists, etc. You may want to insert a bullet list of links, a banner advertisement or even more posts/articles. It is up to you really. The content of the sidebar is populated from the second content area [newsletters_content id="2"] so you can once again click “Add Content Area” below the main editor to create an additional content area. Notice in this case how the thumbnail_size is set to thumbnail for a smaller image. Here are two more content areas which you can use as needed. Again, click “Add Content Area” below the main editor twice to create editors for [newsletters_content id="3"] and [newsletters_content id="4"] accordingly. These contact details are static and can be changed by editing the template. The unsubscribe link is automatically generated using the [wpmlunsubscribe] shortcode of the Newsletter plugin. These icons are static and their links are blank so you can edit the template to insert your own Facebook, Twitter, LinkedIn and YouTube URLs as needed or remove some of them if you don’t want them. This can be done by editing the template under Newsletters > Templates using the WYSIWYG editor.